I’m still having a rubbish start to the year for blogging but with the start of the conference season I should be back to normal productivity again soon. This week it’s been my first conference this year (other than crashing the HR Directors Business Summit hashtag last week). This is Learning Technologies which I manage to attend in one role or another most years - last year I was a speaker and this year I’ve been on the blog / tweet-squad for the second day of the conference. That’s good actually - it means I’ve got no choice but to do some blogging - at least, that is, if I want to be invited back again next year (and after walking out of one of my nominated sessions probably not even then). We started the morning with conference chairman DonTaylor asking us what’s going to be new in learning technology this year. My response to my neighbour was that that I’m not sure there was. Sure, there’s the same - and big - changes that we focused on at HR Technology Europe (which I’ve chaired for the last couple of years) eg Thomas Otter’s nexus of cloud, social, mobile and big data. But these are already being implemented in an increasing number of organisations. So, is there really anything that new? The question was taken up in today’s keynote from futurist Gerd Leonhard. In a series of 30 second tweet-bites, Leonhard took us through the changes that are rapidly creating a Social - Local - Mobile world. And again, none of these things was completely new - augmented reality exists now - and Google Glass - or even the virtual printing of social information on people’s contact lenses (or even ‘contact’ lenses) isn’t a complete step change from today. But it’s still a big shift. And put this together with all of the other ‘re-imaginings’ Leonhard took us through and you’ve definitely got a transformation of tsunamical proportions. That’s a tsunami in the use of technology and a corresponding landslide in learning. Neo’s learning to fly a helicopter (‘can you fly that thing?’ in the Matrix) isn’t that far away. The new environment is going to provide huge new challenges - a mindset evolution (or revolution?) - for learning practitioners, learning technologists and all learners. But to me the biggest short-term challenge is just keeping up with the shock wave as it radiates through life and work ie for organisations and individuals to keep up with all the individual changes Leonhard took us through. PS Next week there’ll definitely be more conference blogging as on Thursday I’ll be at HR Talks. I’ll also be attending the first of two company-delivered events, the first of a series of 50th birthday sessions at Bromford Group which is on Tuesday (the second one is the second social recruiting conference provided by and held at CERN). I did this interview fairly quickly after HR Tech Europe. And although the post date is 19th December it's only just gone up. Anyway, I think you'll find the content interesting so you may want to take a look. 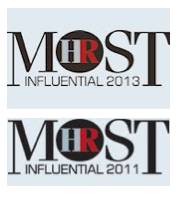 #HRevent13 - HR social media trials and error…. So for the first time in four years, I'm not at the HR Directors Business Summit. After being their official blogger, facilitator for their joint twitter 101 / tweet-up, and chair of the unconference last year, this year I've just been virtually following, and diving into, the twitter stream - which I can't say has grown that much in four years. But it's not the general lack of tweeting - or may own hashtag crashing that I want to comment on here - I could, but I'm not going to. "We are pleased to introduce you to our Social Media Sponsorship Package which will give the opportunity to showcase your company and products within the HR social media community. If you are involved in social media and believe your products and services could help HR Directors to solve the challenges they are facing, get involved today as there is still time for you to get involved in this leading event. Note in particular the 10 conference organiser tweets about the sponsor organisation! I can't see that this would ever have worked personally - even with a more intense twitter stream, the reaction to the tweets could have easily become hostile. But why would you want @HRevent with 479 followers tweeting for you when you can do this yourself? Particularly if you are 'involved in social media' and have a substantial following already. To me, the future for conferences is going to be much more about paying people to tweet - or at least encouraging them to do so - rather than being paid to tweet on their behalf. Still, if I was organising this conference, I'd have me back to do more tweeting from the event, another tweet-up and put back the unconference too. That'd definitely be a great move towards social HR! As for me, I'll next be tweeting and posting on the second day of Learning Technologies on Wednesday next week. i've been finding it hard to return to blogging after the Christmas break. That's nothing that unusual - I quite often end up having a few weeks off and then gradually feeling a renewed commitment to post. Though I will say that there has been a particularly long gap this time around. To some extent this is down to my latest shiny new toy. That's Google Plus, or more specifically, Communities over at Google Plus. I don't often write about social media here. I'm much more interested in the social impacts of these tools than I am the tools themselves. So apart from Blogger and Twitter, I don't use any other tool that much. I've never found Facebook that compelling and though I've got lots of contacts on Linked, I'm not on there that much (particularly with the removal of Events and Answers, which I thought were some of its best features). But I really, really like Communities on Google Plus. In fact I really like Google Plus, but prior to Communities hadn't found anything that made me want to spend time there. I tried a few Hangouts / Hangout On Airs which I still want to experiment with, but my efforts towards the end of last year weren't very successful. But Communities are great. They're easy to use, nicely formatted with link pictures appearing automatically and I just find them much more compelling than groups on Facebook or Linkedin, or even Twitter. Added to that you've got potential benefits supporting AuthorRank, linking back directly to what's still going to be the world's leading search engine, so it's a good place to be spending time contributing. Social HR is growing quickly - 428 people as of today - and consists of a mix of posts about different aspects of HR, and some discussions about what social HR involves. Employee Engagement is a community I'm co-moderating together with other members of the Engage for Success movement. It's growing more slowly but we're having some interesting conversations there, and once again, I personally fin it a much more compelling place to be than the movement's existing Linkedin groups. I'm sure that over time the conversations will slowly move to the Google Plus group. 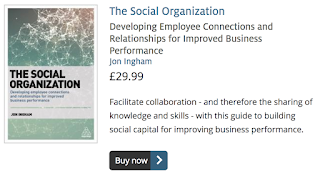 Do have a look at Google Plus, Communities, and both Social HR and Employee Engagement if you've not been over there before - it'd be great to see you. Though I will soon be getting going posting here again too. 2013 is kicking off with the HR Carnival at Strategic HCM. I asked contributors to send in one of more of: their favourite / best read posts; reviews of 2012 and predictions for 2013. Thanks to everyone for their contributions – and I include them all as normal (as it’s Christmas / New Year, I’m even letting PRs submit posts for their clients, which I wouldn’t normally see as fulfilling the HR Carnival’s criteria). Ian Welsh at Search for Mutual Success on HR Toolbox: Capitalism - What Should We Do with the People Left Over? And my own favourite post: Engagement or Entwistle? 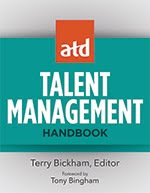 Ian Welsh at Search for Mutual Success on HR Toolbox: 2012 The Year of Conflicting Ideology! Naomi Bloom at In Full Bloom: 2012 Was Workday’s Year; Who Will Own 2013 In HR Technology? 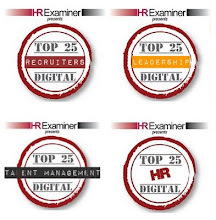 Andy Spence on the HR Transformer Blog: What will you Start, Stop and Continue in 2013? 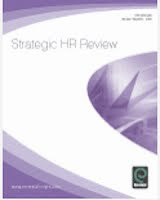 Ian Welsh at Search for Mutual Success on HR Toolbox: The Role of HR When Machines Rule! Thanks again for all the contributions and sorry for the one day delay. I’ll be providing some of my own predictions when I’m back from skiing next week. The next HR Carnival is at Ben Martinez’s HR Hound Blog on 16 January.